Your privacy is important to us and we, at Bankingadda respect the need to protect your private information. We understand the sensitivity of the personal information which may concern such diverse fields ranging from your career aspirations to your gender preferences. We shall take such reasonable steps as may be necessary to ensure that your private information remains confidential. You can browse our website without registration. We may collect and store the information that you voluntarily disclose to us. We do not share your personal information with any third party. We do not collect information about our visitors from email databases, private/ public organization or bodies. You can electronically copy or take print of the website pages, if it is being used for personal use only. 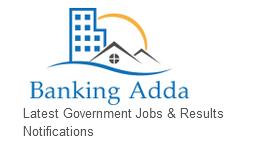 Bankingadda holds the copyright to all the material on this website, unless otherwise indicated. A written permission of the copyright holder must be obtained for any use of this material other than for purposes permitted by law. Bankingadda.in has an area on the site where you can submit feedback. Any feedback that is submitted through this area becomes the property of bankingadda.in .We may use this feedback, such as success stories, for marketing purposes, or to contact you for further feedback on the site. We do not disclose information about your individual visits to bankingadda.in, or personal information that you provide, such as your name, address, e-mail address, telephone number, etc., to any outside parties, except when we believe disclosure is required under applicable law. But, we may record and share aggregated information with our partners. Also, if you input your information on a co-branded registration page or site, then your information becomes the property of both bankingadda.in and the partner co-sponsoring the pages or site. In that instance, bankingadda.in is not responsible for the information that the partner receives.